Chailloux, A.G, & Scarpa, G. (2013). 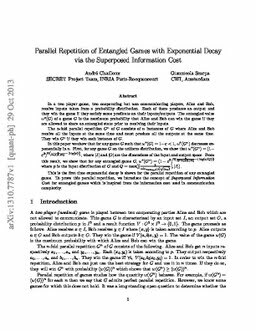 Parallel Repetition of Entangled Games with Exponential Decay via the Superposed Information Cost. arXiv.org e-Print archive. Cornell University Library .